The events industry is fast-paced, high-energy and very rewarding. If you’re terrified of getting sucked into a nine-to-five job with no variety, then a career in events could be just the thing for you. As it is such a desirable industry, entry-level jobs can be hard to come by. Instead, you have to be willing to be a little more creative in how you gain experience and prove to potential employers that you have what it takes. Experience is often the main thing that employers care about. Many of the challenges that you will face in events cannot be taught. Experience is the only way to show that you are familiar with the challenges and demands of working in events. If you are starting from zero, try approaching large event companies that hire volunteers or casual workers for big events. Make sure you are targeting the right companies and the right events. For example, if you’re interested in glitzy award shows, you’re not likely to get the right experience working at medical conferences. Keep a record of all experience you gain and make sure you build this into a sort of portfolio. Ask for feedback and recommendations from those you work with to help strengthen your position. If you’re just starting out, you might have to get a little creative with your CV. Make sure that you full elaborate on the experience you have, but never lie. Lying is a surefire way to get caught out in an interview. Many companies will have two rounds of interviews with similar questions to help weed out the liars. It’s difficult to keep your lies in order, so always be honest. If your CV looks a little sparse, don’t be afraid to put work experience from other industries on there. Employers will be more concerned with seeing multiple career breaks than learning about your experience in different industries. If you can be clear about your motivation and show that you are serious about a career in the events industry, your lack of experience might not even matter. 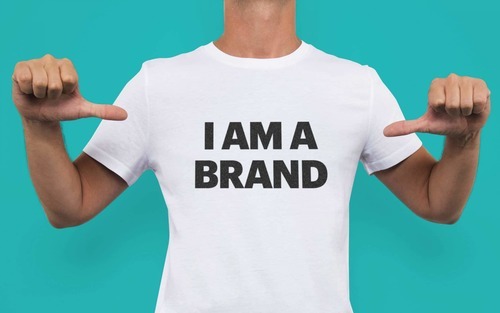 It might sound like a tired industry buzzword, but building a “personal brand” can be a great way to land your next opportunity. Start a blog, create a Twitter or Instagram account and start actively engaging with the people in your industry. Share your thoughts on the industry and use this as a window into the industry you want to work in. If you are blogging or using a visual platform like Instagram, you could even use this as your portfolio. This can help get you noticed by key industry figures who are more likely to want to hire a person than a CV. Agency work can help you find plenty of paid experience in a short space of time. You might not be working at the level you might like, but everyone has to start somewhere. Put in the time and show that you are willing to turn anything into a learning experience. This is also a great way to learn how the entire events process fits together. Spending a few days working in catering can help you to understand the demands of this role and it will make you a better manager further down the line. By gaining a broad understanding of the wider events industry, you’ll also have plenty to talk about in interviews. Use every opportunity available to you as a learning opportunity. Ask for feedback and advice from those who have already achieved what you want to achieve. People love to talk about their own career path, so don’t be afraid to ask them how they got started. By making yourself known to people in the industry, you will increase your chances of being on their shortlist when an entry-level job becomes available. If you are determined to succeed and have the willpower to persevere, it’s possible to land a job in events without any formal education. Work on building your experience and your contacts if you want to succeed.